We are a short distance from Netherton Cottage in Aberlemno where Alexander (Sandy) Davidson lived before he and his wife Margaret emigrated to the United States in the 1850s. Their three grandsons, Arthur, William and Walter teamed up with William Harley and opened a motorcycle factory. Of course, the rest is history! The cottage where he lived has recently been restored by The Davidson Legacy Company owned by Mike, Keith and Maggie. They have plans to construct a museum and Visitor Centre on the site in the very near future. 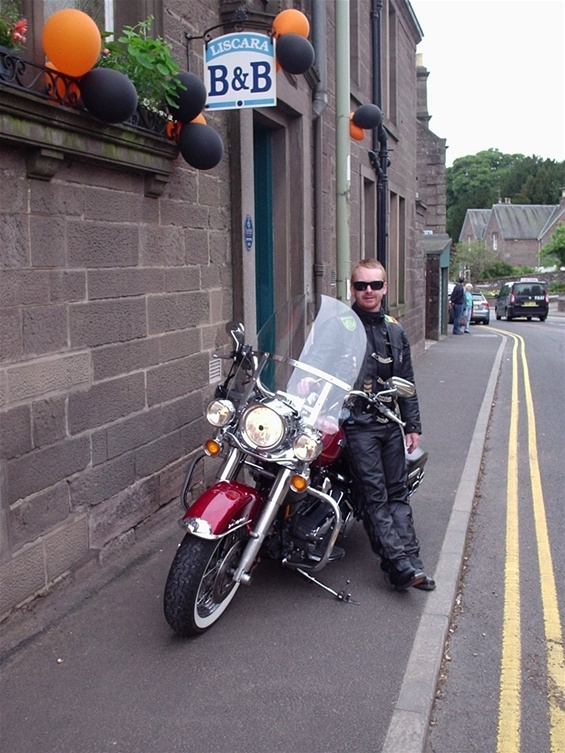 Many Harley Davidson fans visit the cottage, so if you are a member, a fan or just curious and you are looking for accommodation, please look us up. 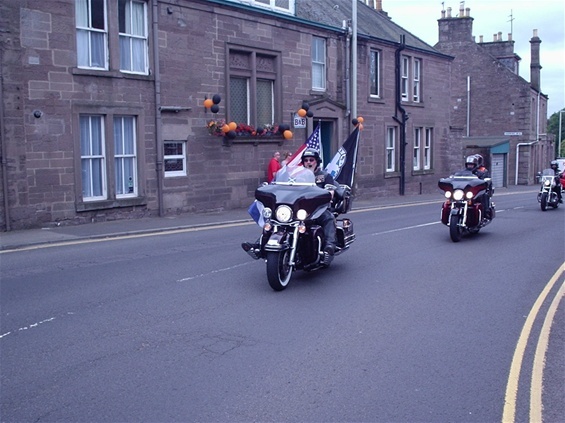 Brechin had yet another succesful day when large numbers of Harley Davidson fans and riders attended the annual pilgrimage to Netherton Cottage in nearby Aberlemno. Great fun was had by all with more riders in the planned "Ride Out" than previous years. The day seems to be getting more popular as these pictures show and guests were able to try out the big water slide which had been constructed for the first time in City Road.